In most of the world, July 4 is just another day. But here in America, it’s the celebration of the most significant event in our country’s history—its independence. As you’re getting in the American spirit this week and preparing to celebrate for the big day, you’ll appreciate this quick glimpse at some important (or not so important) numbers surrounding the Fourth of July. 56: The total number of men who signed the Declaration of Independence. Headlining the list include Thomas Jefferson, Benjamin Franklin, John Adams and John Hancock. 61. The amount of hot dogs that competitive-eating champion Joey Chestnut downed in 10 minutes during Nathan’s Famous Fourth of July Hot Dog Eating Contest in 2014. 1781. The year in which Massachusetts became the first state to celebrate the Fourth of July as a state holiday. 14,000. 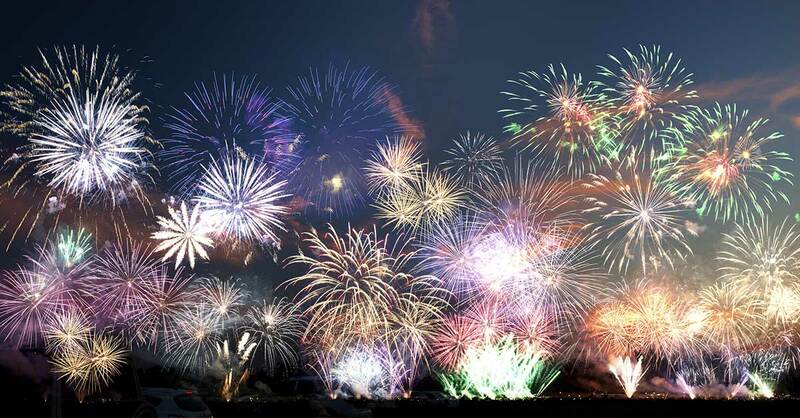 The number of fireworks displays that light up American skies on the Fourth of July every year, according to the American Pyrotechnics Association. 40,000: The number of “effects” used in the largest fireworks display in the country, the annual 25-minute Macy’s show in New York City. $250,000: The original cost of the Statue of Liberty, given to America by the French in 1886. Our friends from France footed the bill. 42 million. The number of Americans who will travel for the Fourth of July holiday. $43 million. The amount of debt the United States had in 1783, just seven years after the country was founded. Most of the debt originated from the Revolutionary War. 155 million. The total number of hot dogs that Americans will eat over the Fourth of July weekend (according to The National Hot Dog and Sausage Council). The History Channel says that’s enough dogs to stretch from D.C. to L.A. five times! $2.4 billion. The amount of money Americans will spend at grocery stores in preparation for Fourth of July celebrations. If you’re one of the 42 million Americans traveling this week, please stay safe! And no matter what you do, please don’t attempt to eat 61 hot dogs in 10 minutes.